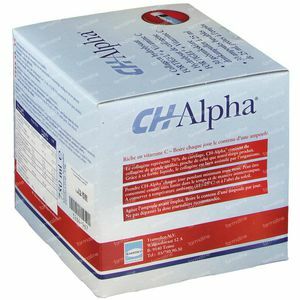 Ch-Alpha 30 x 25 ml ampoules order online. Thanks to our joints we can move easily. The cartilage in our joints is extremely important for this. After all, it is a smooth surface that prevents bones from rubbing or grinding against each other. But thanks to its specific structure, cartilage also functions as a shock absorber. It can be compressed under heavy weight or by making strenuous efforts. If the strain stops, the cartilage will easily take its original form. The cartilage disposes of these unique qualities thanks to collagen and proteoglycans. Collagen provides a mesh structure including a gel of proteoglycans and water. Collagen contributes to the strength of the cartilage, proteoglycans to the elasticity. Almost 70% of the cartilage substance consists of collagen. 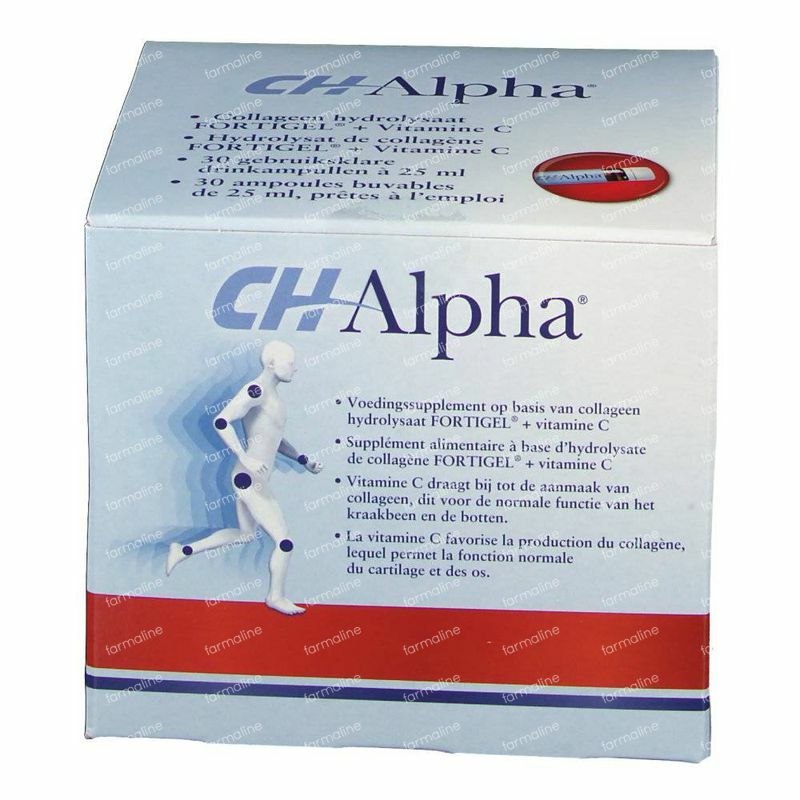 Therefore, collagen is extremely important for the proper functioning of joints. Every vial contains 10 g of collagen hydrolyzate FORTIGEL®. 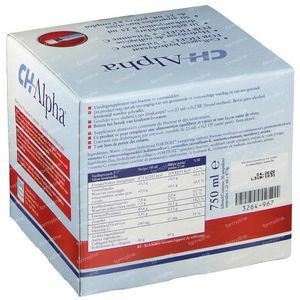 Thanks to its ready-to-use, liquid form, CH-Alpha® is easy to take. 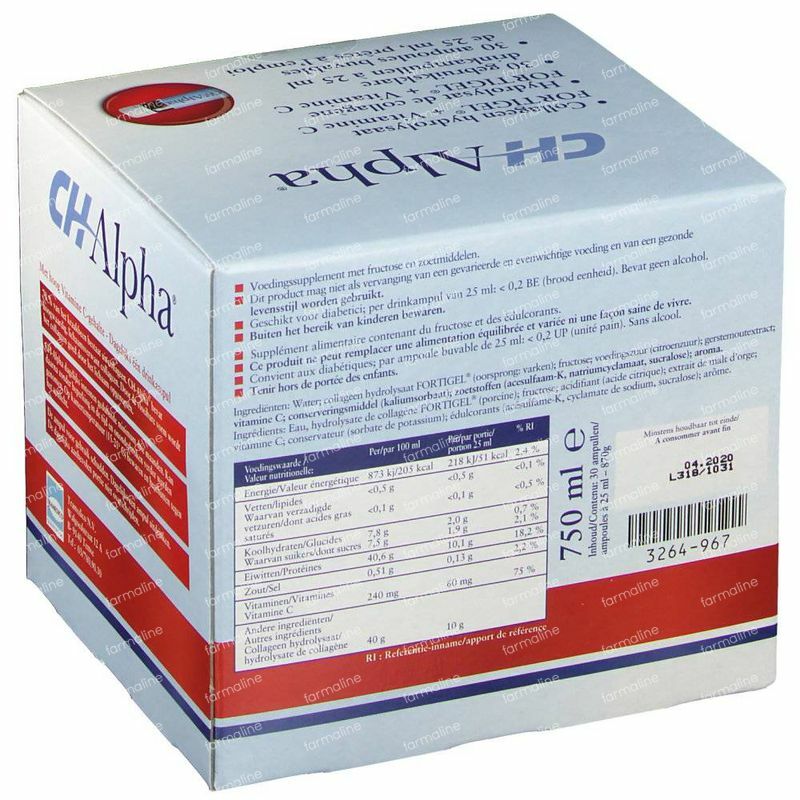 Besides collagen hydrolyzate, every vial CH-Alpha® contains the recommended daily dose of vitamin C. Vitamin C supports the production of collagen and contributes to the normal functioning of the joints. Drink one vial a day. Shake the vial before use. Take CH-Alpha® every day for at least three months. Suitable for diabetics. Per vial of 25 ml: <0,2 BV. Does not contain alcohol or purine. Adverse effects are not known. In rare cases, flatulence or diarrhea can occur. At an intake of larger amounts than recommended, adverse effects are not expected. Keep at room temperature and protect against sunlight. Keep out of reach of children. Shake well before use. 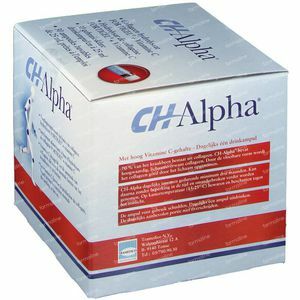 CH-Alpha® is a natural product. Changes in color may occur, without affecting the quality.